Founded in 2016, the Bedford Trio is already thrilling audiences with their dynamic, elegant, and energetic performances. The group’s repertoire ranges from the classic piano trios of Beethoven and Brahms to contemporary works by Canadian and International composers. They are committed to commissioning and performing contemporary repertoire by both established and emerging composers. Most recently they have premiered piano trios by emerging Canadian composers Roydon Tse (Forgetting) and Henrique Coe (Martyrium). In 2018, in addition to appearing in recital, the Bedford Trio has performed in Quebec as part of the Orford Music Festival and participated in the Orford Piano Trio Residency under the guidance of the Gryphon Trio. In August, they participated in the Career Development Residency at Chamberfest in Ottawa, which included several recital performances, various outreach events in communities around Ottawa including a performance for the Health Arts Society of Ontario, and events at the National Gallery of Canada. They recently appeared on CBC Radio One in a feature with composer Rob Kapilow (“What Makes It Great”), performing excerpts from his latest composition-in-progress based on Louise Bourgeois’ “Maman” sculpture at the National Gallery of Canada. The Bedford Trio is honoured to be named the first piano trio to be selected for the Irene R. Miller Piano Trio Residency at the University of Toronto’s Faculty of Music for the 2018/19 season. They would like to thank the University of Toronto and Irene R. Miller for this wonderful and unique opportunity. 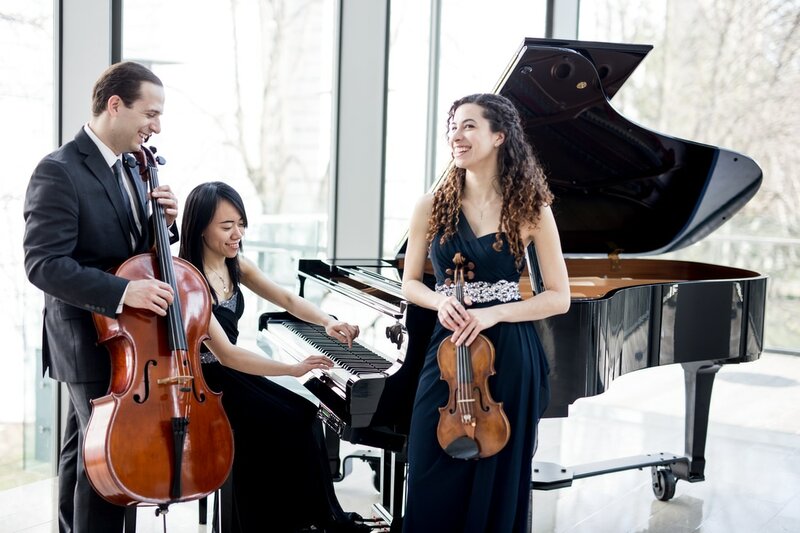 The Bedford Trio was founded by award winning instrumentalists Alessia Disimino (violin), Andrew Ascenzo (cello), and Jialiang Zhu (piano) and is currently based in Toronto, Canada. They would like to thank their mentors for their guidance and support: Annalee Patipatanakoon, Roman Borys & Jamie Parker of The Gryphon Trio, Lydia Wong, Enrico Elisi, Tim Ying, Joseph Johnson, Shauna Rolston, and George Zukerman. Toronto-based violinist Alessia Disimino is recognized for her thoughtful musicality and instinctive interpretations. Described as "one of Toronto's finest violinists" (Snapd Beaches/Danforth), she is the co-founder and violinist of the Bedford Trio, concertmaster of the North York Concert Orchestra, and founder and Director of Strings at the North York String Academy, where she teaches the violin on a private and group class basis and curates the violin program. Alessia is a graduate of the University of Toronto's Master of Music in Performance (Hons.) as a scholarship student of Dr. Timothy Ying, and also obtained her Bachelor of Music in Performance (Hons.) with a Minor in English, with Annalee Patipatanakoon of the Gryphon Trio. Most recently, the Bedford Trio was announced as the inaugural Irene R. Miller Piano Trio Residency ensemble at the University of Toronto for 2018-2019. The Trio was also named Ottawa Chamberfest’s 2018 Career Development Residency ensemble, where the group worked with the esteemed artists of the Gryphon Trio and What Make’s It Great’s Rob Kapilow. Chamberfest initiatives also saw the Bedford Trio featured in tour performances at Ottawa’s City Hall, in Montreal, and again in Ottawa during the Residency (July to August). During her time at the University of Toronto, Alessia served as concertmaster of the University of Toronto Orchestra and Opera, and as a soloist and chamber musician, has performed in master classes for Jonathan Crow, Erika Raum, Mark Fewer, Jeanne Lamon, Lara St. John, Gryphon Trio, Menahem Pressler, and the Juilliard String Quartet, amongst others. 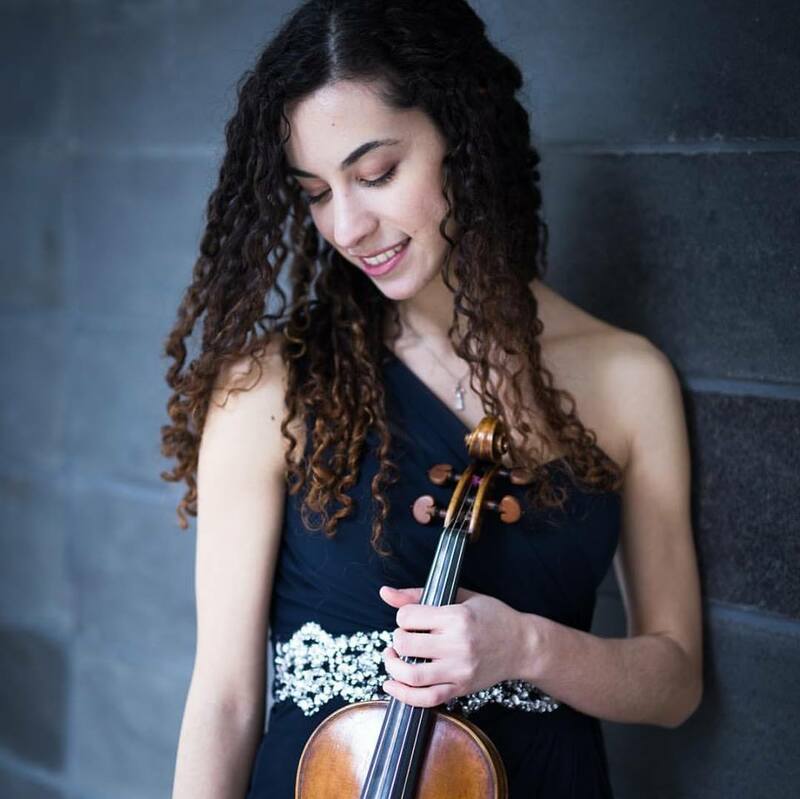 Alessia is also an active freelance violinist in Toronto, and performs with various ensembles in Vaughan and the Greater Toronto Area, including Maestro Kerry Stratton’s Toronto Concert Orchestra. A recipient of numerous awards, Alessia was awarded the Gordon Cressy Leadership Award for her outstanding contributions to her community and to the University, and also received an Ontario Graduate Scholarship (2017). Previous awards include Gerhard Kander Graduating Award for Violin, the Suba Institute Award for Performing Excellence, the Felix Galimir Award for Excellence in Chamber Music (2015), and the Women’s Musical Club of Toronto Centennial Scholarship (2014). Alessia holds her Associate of the Royal Conservatory of Toronto (ARCT) in Violin Performance (First Class Honours with Distinction), is an alumnus of the RCM’s Young Artist’s Performance Academy (2009-2011) and the Toronto Symphony Youth Orchestra (2010-2012), and has attended summer study programs including the Tafelmusik Baroque Summer Institute, the Orford Academy, and the Domaine Forget Academy. For her pedagogical training, Alessia has also attended the University of Toronto Wind Conducting Symposium and the Indiana University Violin and Viola Teacher Retreat. Alessia is equally passionate about teaching and community outreach. She has provided violin instruction on a private basis for students of all ages and levels, performs regularly in music ministry at her parish, and with the Bedford Trio, North York Concert Orchestra, and Toronto Community Orchestra, with whom she was concertmaster (2015-2018) and appeared as a soloist in May of 2018, has performed outreach concerts for numerous senior residences and hospitals throughout Toronto. In her spare time, Alessia loves to write poetry, commission paintings, and read books on a variety of subjects, including English literature, Fiction, Theology, and translations of Classical literature. 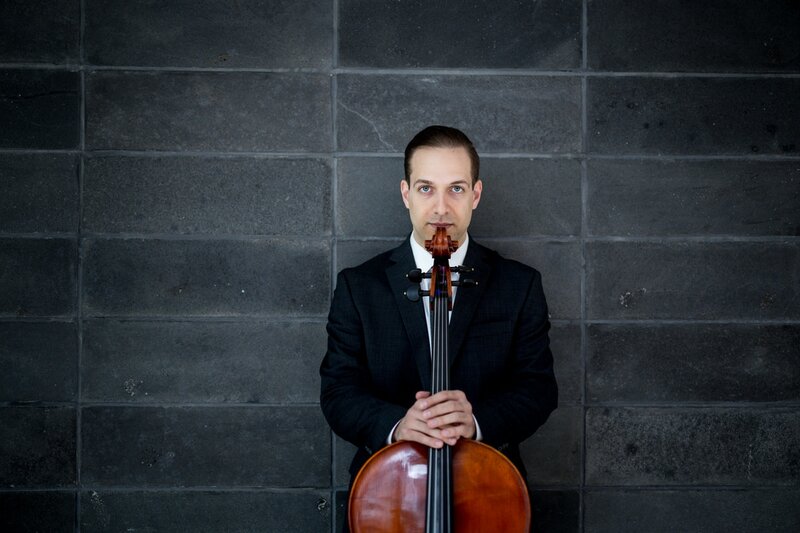 Cellist Andrew Ascenzo is one of Toronto’s most eclectic and versatile young musicians. He regularly appears on stage as a solo cellist, chamber musician, improviser, and conductor, while also working as a composer and an arts administrator. In 2018, he has been the Music Director for 9 to 5 The Music at York University, A Funny Thing Happened on the Way to the Forum with Etobicoke Musical Productions, he has premiered a new composition entitled Digital Landscape for solo cello and electronics at the Canadian Music Centre, and he has commissioned four new works for solo cello and electronics as part of his doctoral research at the University of Toronto. These pieces will be recorded and performed in the spring of 2019. Andrew is a founding member of the Bedford Trio with his colleagues and friends Alessia Disimino (violin) and Jialiang Zhu (piano) and they are quickly making a name for themselves as one of Toronto’s premiere young chamber ensembles. In 2018/19, as well as appearing in recital throughout the year, the Bedford Trio has performed in the Orford Music Festival, and has participated in the Career Development Residency at Chamberfest in Ottawa, a nine-day residency that included performances and outreach events, as well as working with composer Rob Kapilow to present a new composition-in-progress to audiences all over Ottawa. The Bedford Trio is also excited to announce that they will be the inaugural piano trio to be named to the Irene R. Miller Piano Trio Residency at the University of Toronto’s Faculty of Music for the 2018/19 season. Andrew is the Artistic Director for Music in the Atrium, a year-round weekly concert series at Princess Margaret Cancer Centre which is now in its 23rd season and attracts some of Canada’s top performing artists of all genres, including Jackie Richardson, Terry Clarke, David & Michael Occhipinti, Allison Au, Hilario Duran, the Cecilia String Quartet, and many more. Andrew is also working as an administrator for Chamber Factory as the Project Coordinator for Listen Up! in Toronto with the Gryphon Trio. Andrew is currently working towards completing his Doctorate of Musical Arts at the University of Toronto, studying with Professor Shauna Rolston. He holds both a Bachelor’s and Master’s degree from U of T. He has also studied privately with David Hetherington, as well as spending some time studying jazz and general improvisation with Matt Brubeck. Andrew has attended the Banff Summer Music program and had the privilege to study with some of the great cello masters, including Aldo Parisot, Janos Starker, and Raphael Wallfisch. Jialiang Zhu is a native of China and currently calls Toronto, Canada her home. 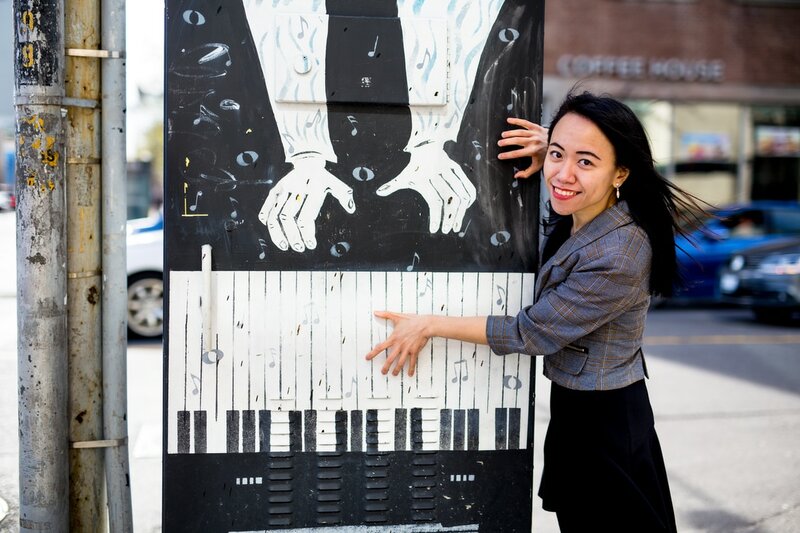 Jialiang completed her Bachelor in Piano Performance and Masters in Piano Performance and Pedagogy with Professor Marietta Orlov at the University of Toronto. She is continuing her studies at the University of Toronto, pursuing her Doctor of Musical Arts (DMA) degree under the tutelage of Professor Lydia Wong. Jialiang recently won the 2017 Gwendolyn Williams Koldofsky Prize in Accompanying. Jialiang loves to collaborate with other artists. She is an alumna of both Banff Collaborative Piano Residency and Toronto Summer Music Festival. Her passion for contemporary music has led her to collaborative projects such as: Tapestry New Opera Workshops; the FAWN opera production Herma’s Shepherd: Vision I at the Open Ear Festival of Art, Architecture, and Sound; and the Tapestry Opera/Canadian Stage co-production Noor over Afghan at the Festival of Ideas and Creation. Jialiang co-founded the Bedford Trio with violinist Alessia Disimino and cellist Andrew Ascenzo. The Bedford Trio performs regularly, is an alumnus of the Orford Music Academy, and recently completed the Career Development Residency at Ottawa Chamberfest. Jialiang finds equal inspiration in solo piano performance. She was the featured soloist in Beethoven’s Choral Fantasy with the University of Toronto Symphony Orchestra and the York Chamber Ensemble. Jialiang was a semi-finalist in the 2016 Eckhardt-Gramatté National Music Competition and a finalist in the 2017 Vancouver International Piano Competition. Mostly recently, she won the University of Toronto’s 2018 DMA Recital Competition and will perform in the Thursdays at Noon concert series in March 2019. A passionate teacher, Jialiang has been working at the University of Toronto Piano Pedagogy Program since 2012. Most recently in May 2018, she adjudicated the Chinese Compositions Group and Bach group in the Canadian International Music Competition. Jialiang also has a studio of private students.